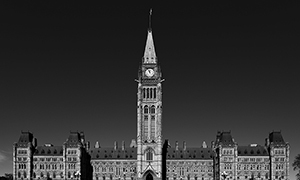 Toronto – October 22, 2014 – We are shocked and saddened by the news of shootings in and around Parliament Hill today, and by the death of a soldier in the wake of an attack at the National War Memorial. We extend our thoughts and sincerest condolences to the family and all those affected. The loss touches close to the hundreds of UFCW Canada members at military bases across Canada, and to all of us who are grateful for the sacrifice men and women of the Canadian Forces make to protect us. We also give thanks to the courage and selflessness shown by all military and peace officers throughout this horrific day in Ottawa; a day which continues to leave thousands of people in the downtown Ottawa area locked-down while the investigation continues. We extend our compassion and support to all those working in the area, including our UFCW Canada members at the NDP National Staff office, and our members working at hotel, service and hospitality locations in the National Capital Region. We are deeply concerned about their safety and wellbeing, and committed to them with our fullest support and assistance in this difficult time. Let us stand united together, saddened but with strength.